For the past 3 years, there have not been any successful births among the last 74 Endangered Southern Resident Orcas (J, K, & L- pods), which are literally starving to death. Most crucial to their survival is secured primary food source: Endangered Chinook Salmon, now at critically low numbers. Experts state that breaching the 4 lower Snake River dams is essential in restoring the Chinook’s spawning habitat. In brief, the energy produced by the four lower Snake River dams could be replaced by a mix of other clean energy sources that are now available at lower cost. Numerous reasons are presented by DamSense.org for breaching. To learn more about the important connection between saving Endangered Chinook/King Salmon and their important connection to the ecosystem where they spawn, please scroll down to watch the 7:30 minute video "Free the Snake”. The government efforts to save the Chinook Salmon and Endangered Southern Resident Orcas are failing and costing billions in taxpayer dollars. There is no need to fund the CRSO/EIS process which would take too long (year 2022!). Let’s take action to have the Army Corps of Engineers to supplement the 2002 Environmental Impact Statement promptly and use Alternative 4 to breach the lower 4 Snake River Dams this year (in 2018). You can DOWNLOAD & PRINT our SAMPLE LETTERS by clicking on the links in the righthand column, sign & send. However, please consider COPY & PASTE of the text with key comments provided below to personalize YOUR OWN more POWERFUL letter to your own letterhead. Please be sure to include the following key comments. I am writing to you regarding actions to save the Endangered Southern Resident Orcas, also known as J, K, and L Pods. 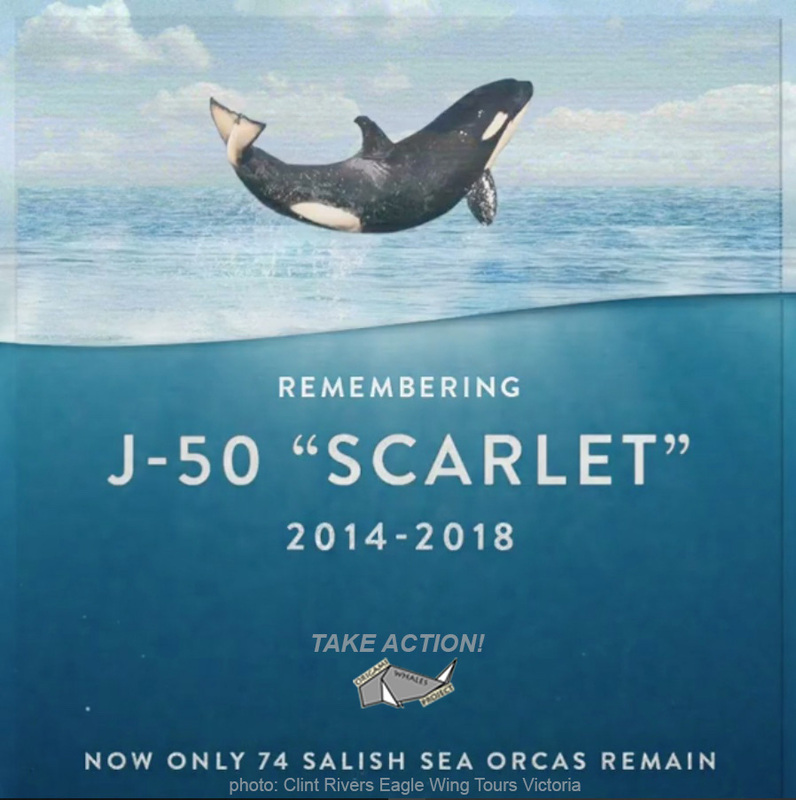 Along with people across the world, I am moved by the very sad and disturbing news of mother Southern Resident Orca (aka SRKWs) Tahlequah (J35) carrying and mourning her dead calf for over 17 days, approximately 1,000 miles; followed soon after by the reported presumed death of 3.5 year old Scarlet (J50). And at the beginning of this new year it was announced that two more SRKWs, Princess Angeline (J17) and Scoter (K35) are predicted to die due to starvation. These current events bring to light how crucial it is to prevent this iconic Endangered species from going extinct. While it was good to see emergency measures by NOAA to attempt to save J50’s life, we must consider the indicators that scientists have brought attention to for many years. 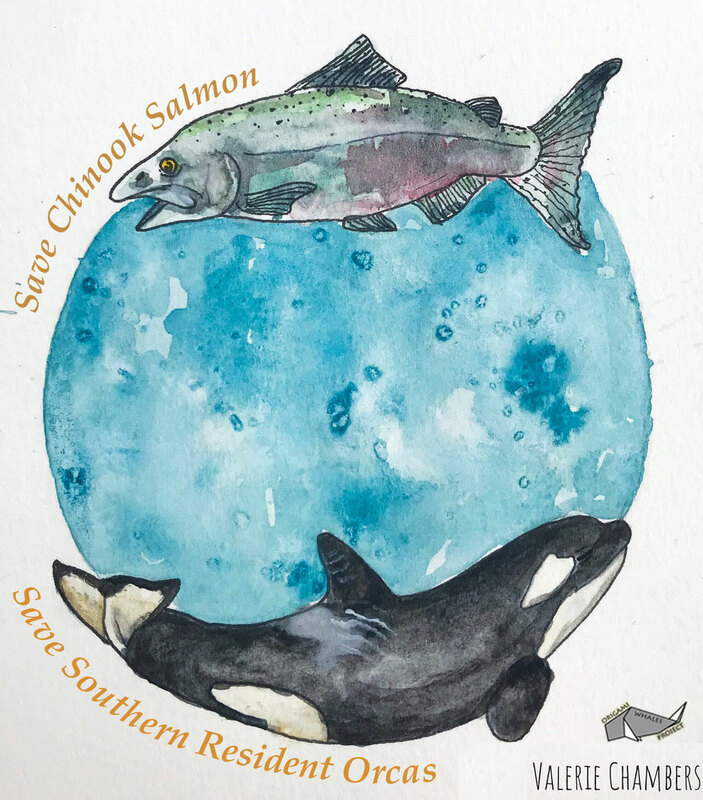 The Southern Resident Orcas are literally starving to death due to lack of their primary food source, Endangered Chinook Salmon, that rely upon historic spawning habitat within the lower Snake River region. Lack of this crucial food source exacerbates the other anthropogenic impacts considered by your Southern Resident Recovery and Task Force (Task Force). I am gravely disappointed with some of the recommendations you released on November 16th, especially your support of Task Force Recommendation 9, for stakeholder process to further discuss the potential breaching or removal of the 4LSRDs. This only delays action that should be taken immediately. The government efforts to save the Chinook Salmon and Endangered Southern Resident Orcas are failing and costing billions in taxpayer dollars.There is no need to fund the CRSO/EIS process which would take too long. Army Corps of Engineers can supplement the 2002 Environmental Impact Statement promptly and use Alternative 4 to breach the lower 4 Snake River Dams starting in winter 2018/19. Waddell, Twa and others have demonstrated that the 2002 EIS can be used to breach these dams and they have created Appendix D that would reduce the cost of breaching by $600Million. No new authorities are needed to place these dams in “non-operational” status; the Corps can do so immediately if they are asked. Army Corps of Engineers can supplement the 2002 Environmental Impact Statement promptly and use Alternative 4 to breach the lower 4 Snake River Dams by Spring 2019. Prepare Supplemental EIS materials & Record of Decision. Controlled hydraulic breach of Lower Granite Little Goose drawdown begins. Lower Granite & Little Goose breached. 70 miles of Free Snake River. The fate of the last 74 Endangered Southern Resident Orcas is in your hands. I urge you to do everything possible to save these magnificent beings from the brink of extinction. As highest level of priority, I request that you take actual bold action as described, Alternative 4 to breach the 4 LowerSnake River Dams by Spring 2019. 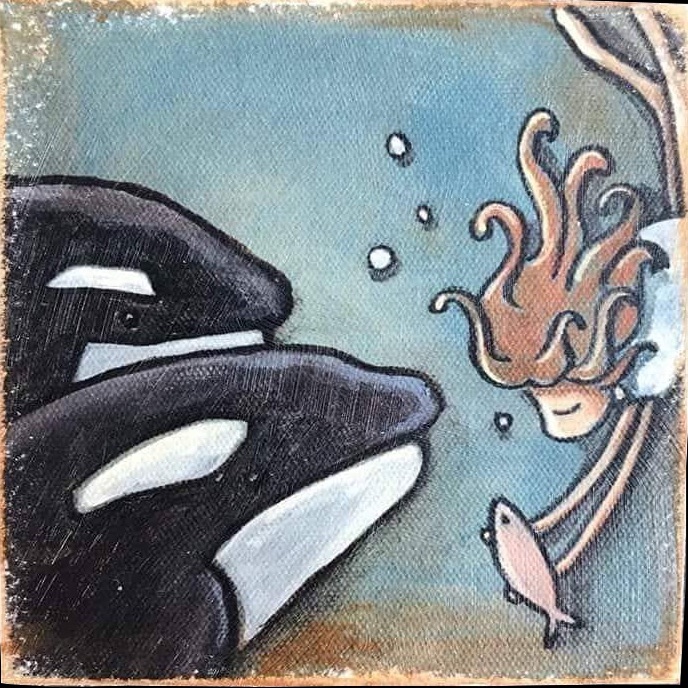 Please kindly respond to let me know what you will do for the Endangered Southern Resident Orcas. 3) +2 senators in WA state may be personalized. NOTE: Especially for constituents/residents of Washington State, please contact Senators Patty Murray and Senator Maria Cantwell (below). "While I am aware of the ongoing Southern Resident Recovery and Task Force, the government efforts to save the Chinook Salmon (primary food source of) and Endangered Southern Resident Orcas are failing and costing billions in taxpayer dollars. There is no need to fund the CRSO/EIS process which would take too long. Army Corps of Engineers can supplement the 2002 Environmental Impact Statement promptly and use Alternative 4 to breach the lower 4 Snake River Dams this year (by Spring 2019)." REQUEST a BAN on FISHING Chinook Salmon: Call, Write, E-Message, and/or Fax the Director of the Washington State Department of Wildlife and Fisheries, Kelly Surewind, as well as Governor Inslee. Phone & other contact info. Please copy & paste essential comment below. Please tell the Army Corps of Engineers to supplement the 2002 EIS promptly and use Alternative 4 to breach the lower 4 Snake River Dams now! This would be a controlled hydraulic breach of the earthen embankment of Lower Granite, then Little Goose Dams (Alternative 4) starting by Spring 2019." Tell Canadian Prime Minister Justin Trudeau and his key federal cabinet ministers to reverse their approval of the Trans Mountain pipeline. Tweetsheet from Tilikum & Co: "News Related to the Southern Resident Orcas and Their Struggle to Survive"
With a heavy heart I am deeply saddened to share from the Center for Whale Research (San Juan Island, WA) Sept. 13, 2018 press release: "Her last known sighting was Friday, September 7 by our colleagues at NOAA, SeaDoc, and others. The Center for Whale Research has had a vessel on the water looking for J50 for the past three days." In the meantime, all updates, photographs, and video are available at the NOAA Fisheries West Coast website." #J50 Update (9/13/2018 #2): While the Center for Whale Research has declared J50 dead due to multiple sightings of her family without her in the past few days, the response team is continuing their search on the water and in the air. The U.S. Coast Guard is conducting an aerial search and team members are searching by boat in likely locations in U.S. and Canadian waters. We have not given up. The hotline for stranding reports is 1-866-767-6114. We will continue to post updates here and at bit.ly/NOAAJ50J35.